Doesn’t that look good? We wish you were able to smell this one from a computer. They’d call it smell-a-puter or comp-u-smell. Either way, this is the perfect snack to have when watching that big game. 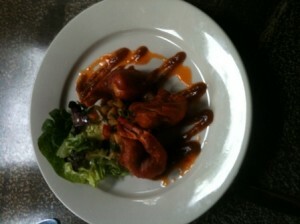 Juicy jumbo shrimp, deep fried in it’s Gansett beer battered goodness. Hit with some fiery buffalo sauce and add a side pineapple chutney make for a nice combination of sweet and spicy. Put out the flames with a Gansett of course. Or better yet the sweetness from the malt and slight spiciness of the tettnanger & northern brewer hops in our new Fest would go perfect with this. But we can’t release this recipe just yet. It’s so good too. In fact this comes from our good friend Nunzio, the bartender at the 106 Kitchen & Bar in Portsmouth, NH. You’ll have to visit there to try it. 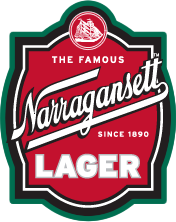 Make sure you say Hi Neighbor to Nunzio and enjoy a ‘Gansett!